Hormel Foods Corporation (NYSE:HRL), today announced Christopher J. Policinski, president and chief executive officer (CEO) at Land O’Lakes, Inc., as the newest member of the Hormel Foods Board of Directors effective Sept. 22. “We welcome Chris to the board and look forward to his contributions to the growth and development of our employees, consistent returns to shareholders, and to the long-term success of Hormel Foods,” said Jeffrey M. Ettinger, chairman of the board, president and chief executive officer at Hormel Foods. Policinski has more than 30 years of experience in the food industry. Prior to joining Land O’Lakes, he held leadership positions with Kraft General Foods, Bristol Meyers Squibb and the Pillsbury Co. He joined Land O’Lakes in 1997 as vice president of strategy and business development. Policinski later became chief operating officer of the Land O’Lakes dairy foods business unit and was appointed president and CEO in 2005. Policinski is also a member of the board of directors of several industry associations, including the Grocery Manufacturers Association, the National Milk Producers Federation and the National Council of Farmer Cooperatives, as well as the United States Global Leadership Campaign, Xcel Energy, Inc., and local community boards, including the Greater Twin Cities United Way. 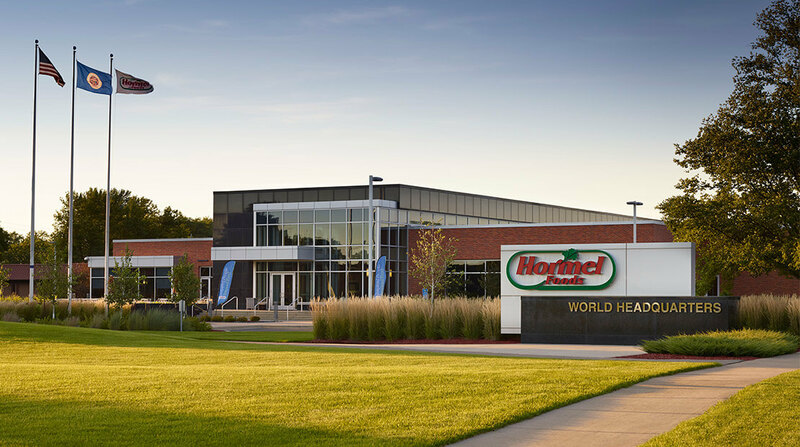 Hormel Foods Announces Retirements, Advancements Hormel Foods announced the upcoming retirements of Douglas R. Reetz and Dennis B. Goettsch. Hormel Foods Corporation, based in Austin, Minn., is a multinational manufacturer and marketer of consumer-branded food and meat products, many of which are among the best known and trusted in the food industry. The company leverages its extensive expertise, innovation and high competencies in pork and turkey processing and marketing to bring branded, value-added products to the global marketplace. The company is a member of the Standard & Poor’s (S&P) 500 Index, S&P Dividend Aristocrats for 2012, Maplecroft Climate Innovation Indexes, Global 1000 Sustainable Performance Leaders and was again named one of “The 100 Best Corporate Citizens” by Corporate Responsibility Magazine for the fourth year in a row. The company enjoys a strong reputation among consumers, retail grocers, foodservice and industrial customers for products highly regarded for quality, taste, nutrition, convenience and value. For more information, visit https://www.hormelfoods.com.